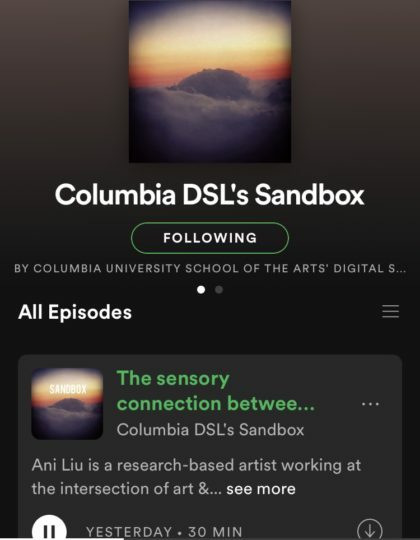 The Columbia University School of the Arts’ Digital Storytelling Lab has a new monthly podcast entitled Crossroads. A collaboration with the Film Society of Lincoln Center, Crossroads is recorded in front a live audience at the Elinor Bunin Munroe Auditorium. The monthly podcast is a mixture of talks, interviews, fireside chats and lab project updates that explore new forms and functions of storytelling.